Well it looks like my luck turned a little sour. The graphical glitches came back. They come and go now. I am going to start by removing the PCB and attaching 5V and Ground to every test lead I can find. 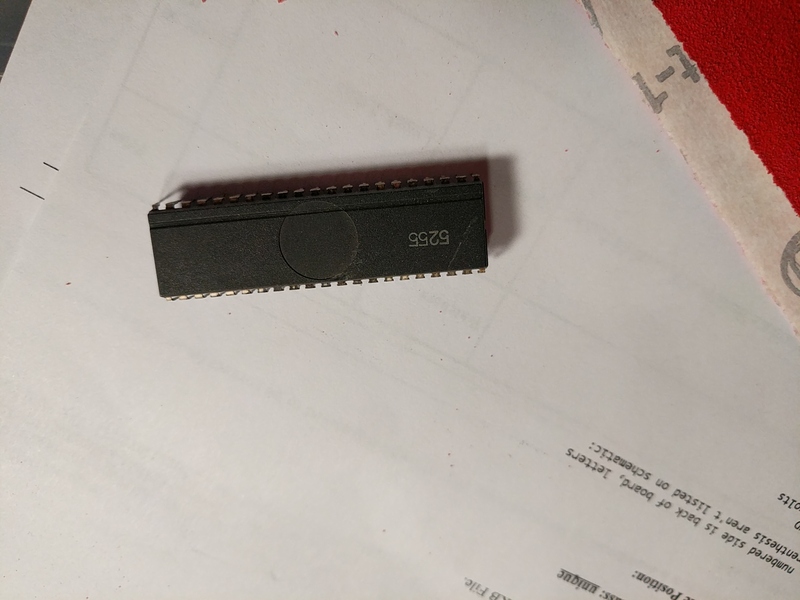 A couple of the edge connector pins are burned which I found out is relatively common with Pole Position. The guy before me only attached an additional 5V to one spot on each PCB. I am going to power the PCB with a modern switching power supply to see if that and the additional power distribution wires calm things down. If that works I can clean up and refurbish the original power supply at my leisure. Not quite sure what your working on, But that sounds more like a bad ground , faulty cap, or transistor given the burnt pins... If it did work something has changed in terms of draw. There is a design flaw on Pole Position boards. The power distribution is uneven I guess because of the physical size of the boards. More power gets dumped in to compensate. Eventually the edge pins fry. That is what I read so far. Well I started pulling, cleaning, and reseating chips one at a time. It appears this guy was causing problems. I have a good solid picture again. We will see how long that lasts. 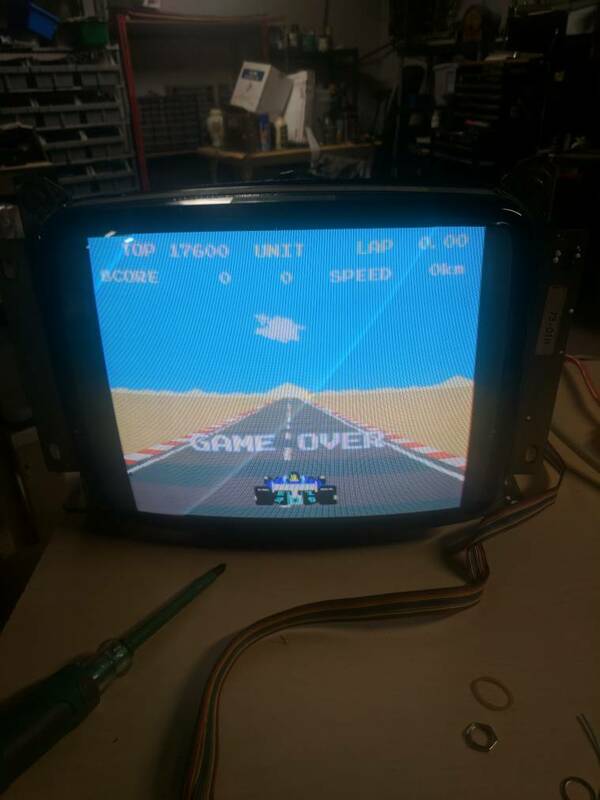 I am starting to work on my spare Pole Position 2 board. This chip is garbage. Two legs are broken. How do I go about getting a new ROM chip? It is 52XX.bin I think. is there a professional service that flashes ROM chips or is the equipment cheap enough that people do it on their own? I don't know anything about this. If that's a Namco custom, you're SOL. You'll need to find a board to harvest one from, or just get on the Multi Pole Position waiting list. You could also try resoldering new legs onto the chip as well. My board has the Atari Pinout. 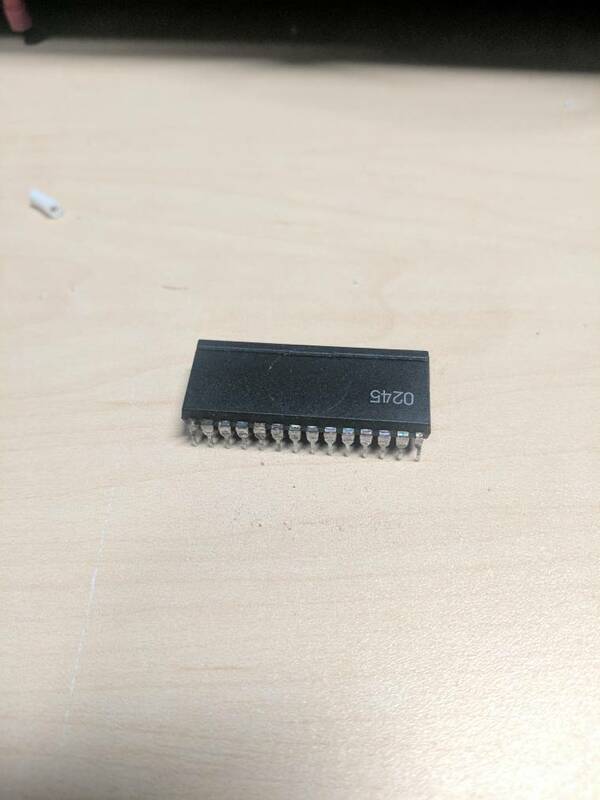 Could you point me to instructions for soldering new legs onto a chip? I checked out a video showing how to replace a broken leg. It looks straightforward enough. I am going to give it a try when I get home from work. It's pretty easy. I've done it before. You should be cool.